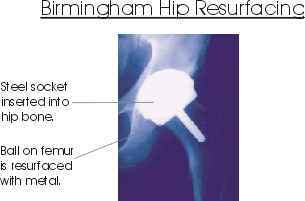 The lastest in prosthetic hip joint surgery, the Birmingham Hip Resurfacing procedure, offers new hope for active and athletic people that need surgery, and should be considered before a Charnely type total hip replacement. This is a new kind of operation where the joint is resurfaced. 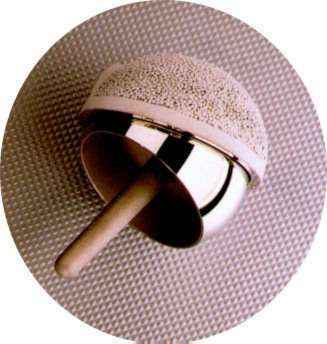 The metal head fits into a metal cup or socket and it may last up to 20 years . 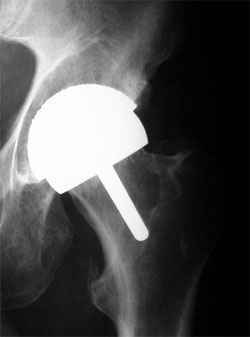 This is a partial hip replacement as opposed to a total hip replacement. The BHR has been designed for younger and more active people in mind. While surgeons wouldn’t recommend it, old activities such as running and competitive sports can be resumed after the procedure. A couple of notable athletes have had this procedure, Tony Unicomb and Rick Pallister. Tony has been able to resume running and cycling within a short period of time after the operation. Rick is still in the early stages of recovery. In Sydney’s eastern suburbs Dr Kohan performs this procedure  and the stay in hospital is only short (under a week). 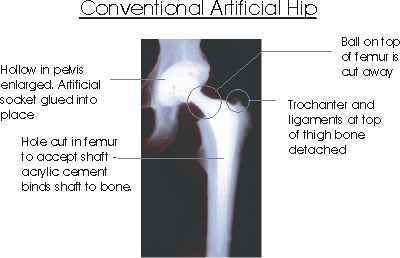 Developed by Mr McMinn and colleagues at the Royal Orthopaedic Hospital in Birmingham, because “[t]he traditional treatment of total hip replacement, though reasonably successful in elderly patients, offers unacceptably poor long term outcomes for young active patients often with an inevitable saga of multiple revisions and associated complications”. Derek McMinn and Ronan Treacy at the Royal Orthopaedic & Nuffield Hospitals, Birmingham, UK have developed a metal on metal hip resurfacing device which addresses most problems associated with conventional total hip replacement . They now have 9 years experience with this procedure and appear to have evidence of good results. They show 3 case studies of active people, a judo exponent, a runner and a banminton champion . Of interest to triathletes and runners will be the case of George Dobson, who after 6 months was back running. By combining the BHR with some of the training adaptations discussed on the rest of this site  the life of the prosthesis may be maximised beyond the hoped for 20 year maximum. In any event these adaptations are still good training techniques for non-arthritic athletes to reduce overall skeletal stress and impact on joints. In particular, deep water running training is recommended to avoid joint as well as soft tissue injuries. “Metal on metal hip resurfacing has been shown to eliminate the problems of proximal femoral stress shielding and osteolysis caused by polythylene wear debris associated with traditional hip replacement, virtually eliminates the problems of hip dislocation and significantly reduces the problem of leg lengthening.” The metal on metal joint is also better because there is less friction and wear than the traditional Charnley metal/plastic bearing. Further research has shown that a larger bearing allows better lubrication, and therefore less friction. The body’s own synovial fluid acts as the lubricant and when the surfaces are manufactured to the traditional radial clearance of 100microns a 50mm bearing has 4 times the fluid film thickness of a 28mm bearing. What this means is that the metal surfaces will be completely separated by fluid and very little wear will occur . The BHR will still eventually fail if you live long enough, which is probably true for any normal non arthrtitic joint too, but the advantage is that because the there is more bone stock a subsequent THR, normally, presents little difficulty. My opnion of the BHR is that is is probably amongst the best prosthetic solutions available today and I am tempted to have one and have my osteotomy reversed to eliminate the leg length difference it introduced to see if I can recapture my old running and cycling ability. However I still favour keeping all of my bone at this point and waiting another ten years, if I have that long, to see where the research with BMP-7 (OP-1) and stromal or stem cells leads, but if I needed a joint replacement now, BHR would be my choice. 1. “In elderly people, 80 per cent of total hip replacements last 20 years;” (http://www.britannia.com/articles/hip.html) given that there is less wear in the BHR it might be reasonable to expect 20 years life. 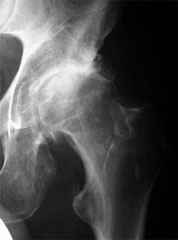 Many of the other problems with standard Charnely replacement joints, such as osteolysis, where the immune system attacks the bone instead of the nearby polyethelene debris appear to be eliminated (http://www.activejoints.com/surgery.html). Osteolysis weakens the bone around the Charnely stem leading to its loosening.